This article taken from a Sweeps magazine dated September 1987. This article was from the Alternative Energy Retailer, published on June 1986. 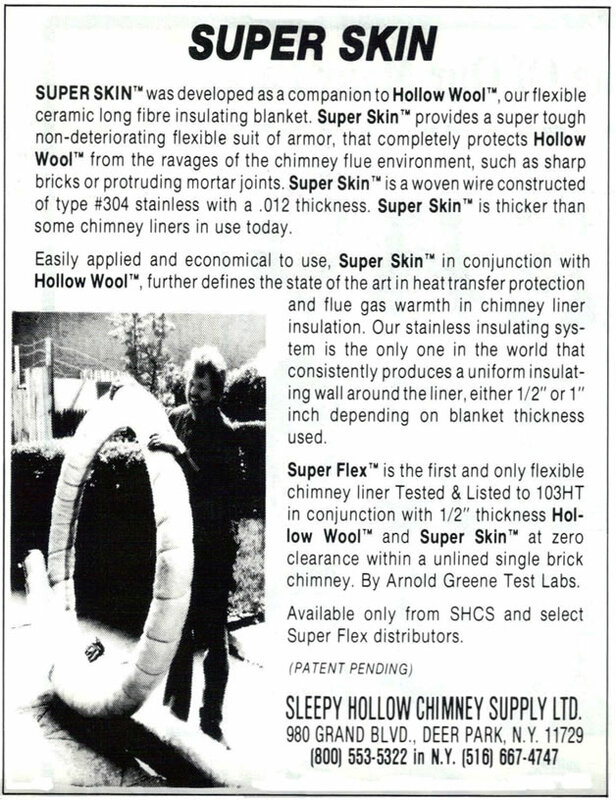 Looking for the best product to reline your existing masonry chimney? 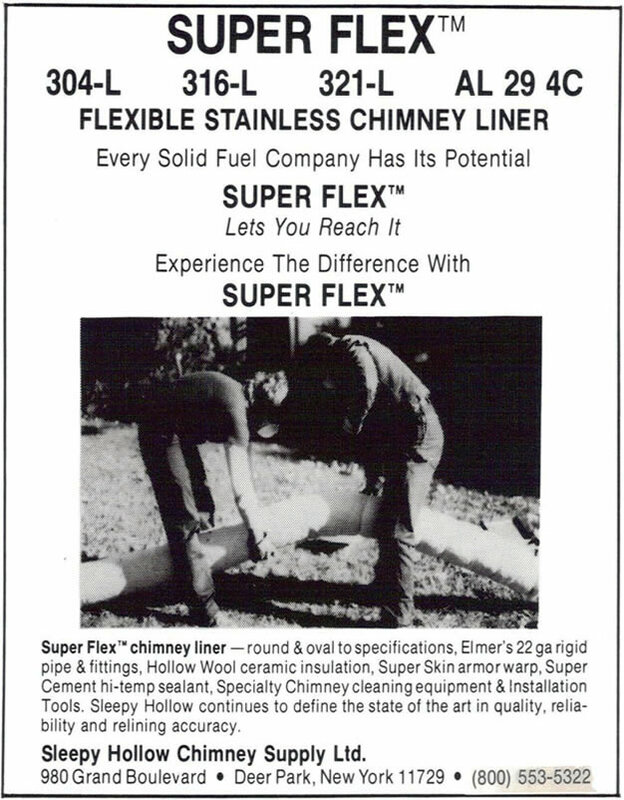 Sleepy Hollow Chimney Supply proudly offers Superflex, Americas first and highest quality stainless steel flexible lining. Made from 304-L and 316-L stainless which gives greater protection from the hazards of repeated chimney fires.